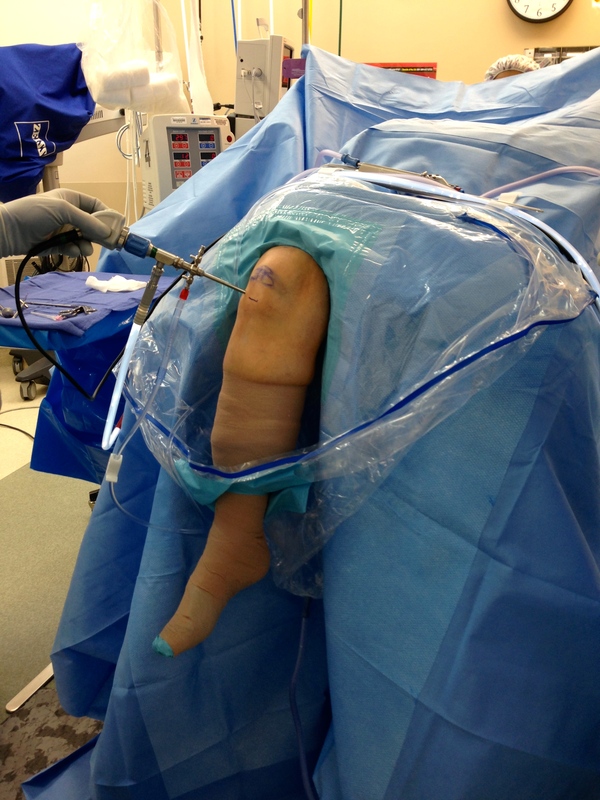 Arthroscopy - Jeffrey H. Berg, M.D. 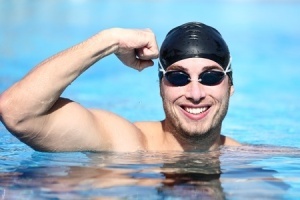 Arthroscopy is a minimally invasive surgical technique that is frequently used by Orthopaedic Sports Medicine surgeons to help their patients overcome pain and problems with their joints. This technology has revolutionized Sports Medicine as well as medicine and surgery in general. In fact, the entire concept of minimally invasive diagnostic and treatment techniques seen throughout medicine today stems from the invention of arthroscopy in the early 1900s. Arthroscopy has advanced and expanded in part due to international organizations devoted to arthroscopy education and research. Membership in these organizations is reserved for those who are experienced arthroscopists and regularly perform advanced arthroscopic techniques. Arthroscopy – How is it done? Arthroscopy involves the use of an arthroscope as well multiple other small instruments. An arthroscope is a pen-sized fiberoptic camera. The camera is typically slipped into the joint through tiny cuts (portals) about the size of your small finger nail. Once the arthroscope is in the joint, it can be moved around to visualize the entire inside of the joint. By using additional portals, various instruments can also be placed into the joint. 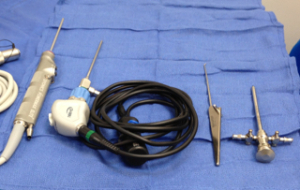 These devices enable the surgeon to touch, remove and repair structures within the joint. View the two videos below to see the setup, equipment and beginning of shoulder and knee arthroscopy. Typically, arthroscopic procedures are done as an outpatient procedure. This means that you can go home the same day as your surgery. Depending on the joint involved and the procedure performed, different types of anesthesia may be used. Often general anesthesia, in which you “go to sleep” in the operating room and “wake up” in the recovery room, is used. On occasion, regional nerve blocks, in which an injection is given to numb the surgical area, can be used to either supplement or replace general anesthesia. After the procedure, the skin incisions are commonly closed with just a couple of sutures and usually just a soft dressing is needed. 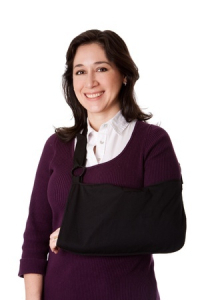 Occasionally, depending on the joint and procedure, crutches or a sling may be needed postoperatively, as well. Arthroscopy – Why is it better? The advantages of arthroscopy over traditional open surgery (that is, surgery though a larger incision), is better visualization of the surgical field (“if you can’t see it, you can’t fix it”), less soft tissue trauma, blood loss, and risk of infection as well as quicker healing and recovery, all with less postoperative pain. Because arthroscopy is minimally invasive, rehabilitation can often be started just a couple of days after the surgery. This, along with the minimal trauma to the surgical site, enables an earlier recovery than had an open procedure been performed. Arthroscopy – Who is a candidate? Nearly every joint is amenable to arthroscopy. Orthopaedic Sports Medicine surgeons routinely perform arthroscopic surgery in the shoulder, elbow, wrist, hip, knee and ankle. Surgeons have even used the arthroscope for surgery on smaller joints such as the thumb and big toe as well as hard to reach joints such as in the spine. Common arthroscopic procedures include: Treatment of cartilage injuries and arthritis, fixing ligament tears, repairing tendon tears, removing loose bodies from inside the joint and assisting fracture repair, as well as many others. See the videos below for a sampling of various arthroscopic procedures.